The iPhone 5 is set to be announced early next week. We’ve heard tons of rumors over the past few months about what updates we might see in the next new handset, one that seems to go back and forth quite often is whether or not the handset will support 4G data. 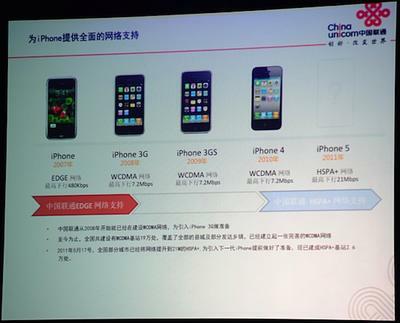 According to China Unicom vice president Huan Wenliang said during the Macworld Asia 2011 conference the iPhone 5 will support 21Mbps HSPA+ data networks. Both T-Mobile and AT&T currently support HSPA+, however, T-Mobile has already publicly stated it will not be getting the iPhone 5. A few early rumors indicated that Apple might have been considering a 4G LTE iPhone, however, those rumors quickly changed to indicate Apple would be holding off on LTE support until it could fine chips of acceptable size and power consumption to use in the handsets. What do you think? Is the iPhone 5 going to have 4G LTE support? HSPA+? Just 3G? Will the data speed of the handset influence whether or not you decide to purchase one?